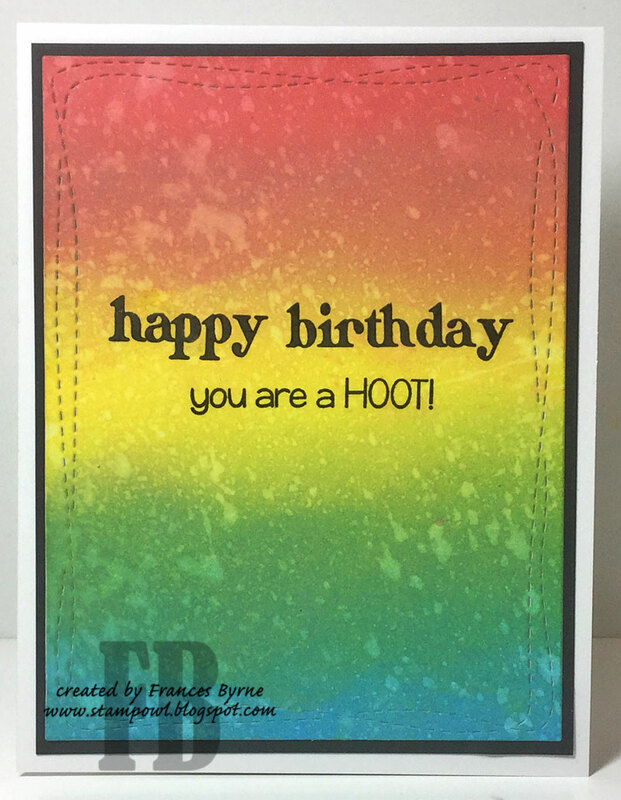 Today I have birthday card to share with you. 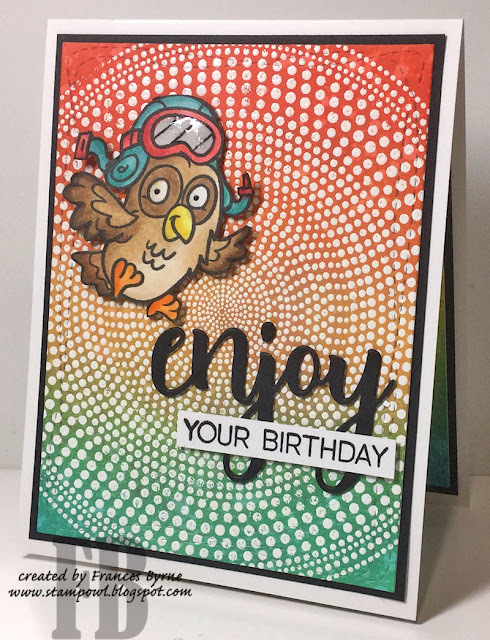 This card started with a piece of cardstock that I had previously used the Hero Arts Sunburst Bold Prints Background stamp and Distress Oxide inks. I had intended on using this for another card some time back, but ended up using something completely different but obviously had saved this piece. I found the background today when I was going through some of my stuff and decided to make use of it. I knew I wanted to use Honey Bee Stamps Enjoy stamp & coordinating die set for the sentiment, so then it was just a matter of finding an image ... something that wouldn't completely hid the background. 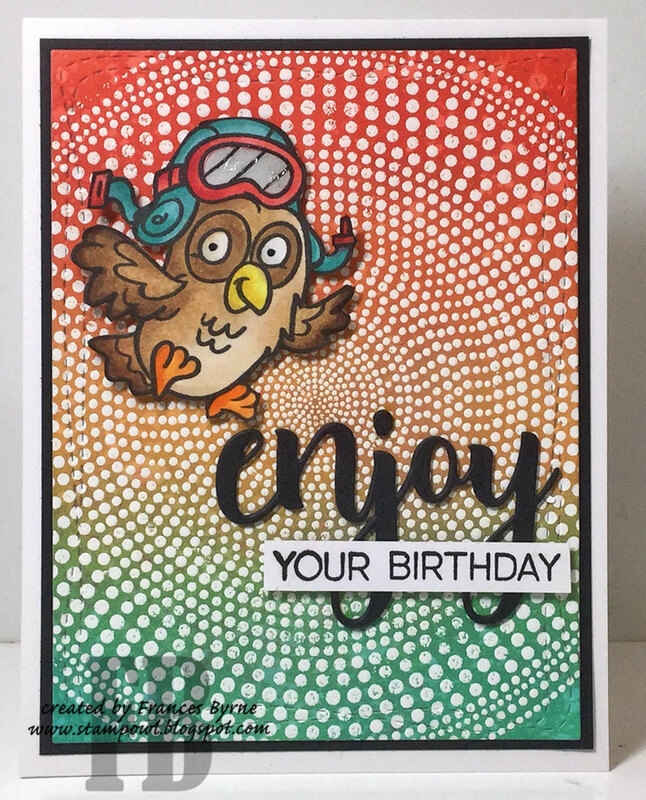 I discovered this cute Your Next Stamp owl I received for Christmas and had used as yet. I die cut the panel using Simon Says Stamp Wonky Rectangles die before adhering it to a folded card. As luck would have it, I must have also created this background using the same inks I used on the background on the front but without adding any background. So of course I used this for the inside adding a sentiment. 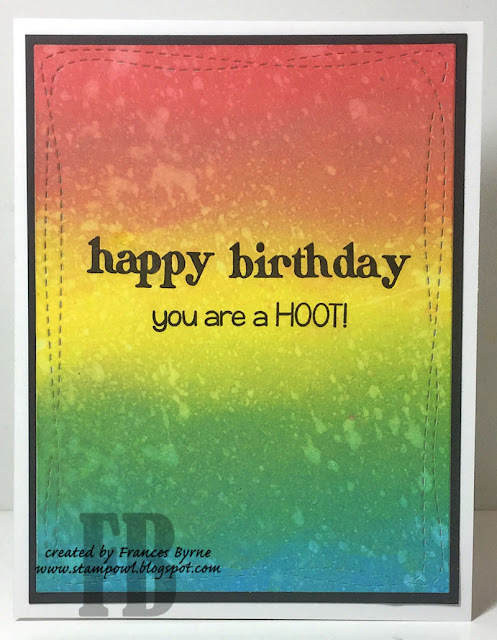 The birthday sentiment is from Altenew and the "You are a Hoot!" is include in the Your Next Stamp Hoot's Up stamp set which the owl was from. Great backgrounds - outside and in. Sending You A Latte Love!